Risoul is among the 3 best rated Ski Resorts in Provence-Alpes-Côte d’Azur. It is among the 5 most family-friendly ski Resorts in Provence-Alpes-Côte d’Azur. Season starts on Dec 9 and ends on Apr 22 (134 days). Average season duration in France is 118 days. Average snow depth during the season (Dec 9 to Apr 22) is 24 " at summit elevation and 16 " at base elevation. Snow coverage is usually best during April, offering an average snow depth of 24 " at summit elevation and 16 " at the base. Risoul features 98 sunny days on average per season. The average for all ski Resorts in France is 76 sunny days. January is the sunniest month with an average of 25 sunny days. 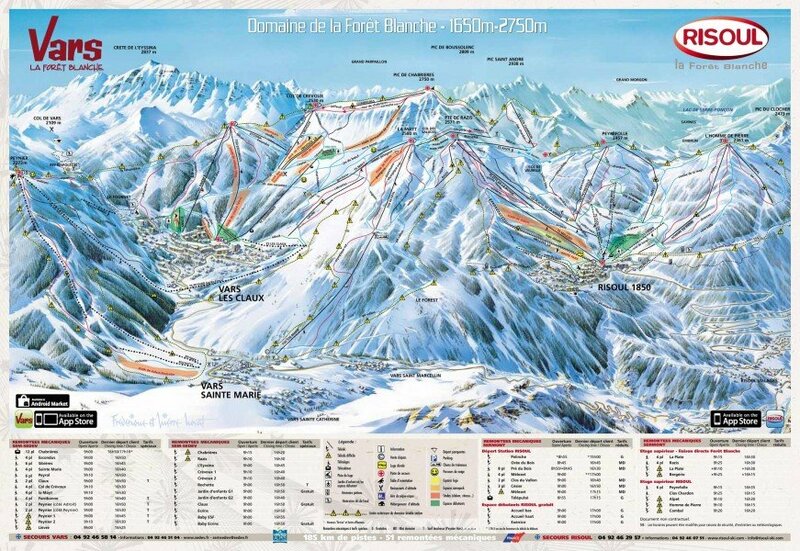 Offering 115 miles of slopes and terrain, Risoul is among the 15 largest Ski Resorts in France.